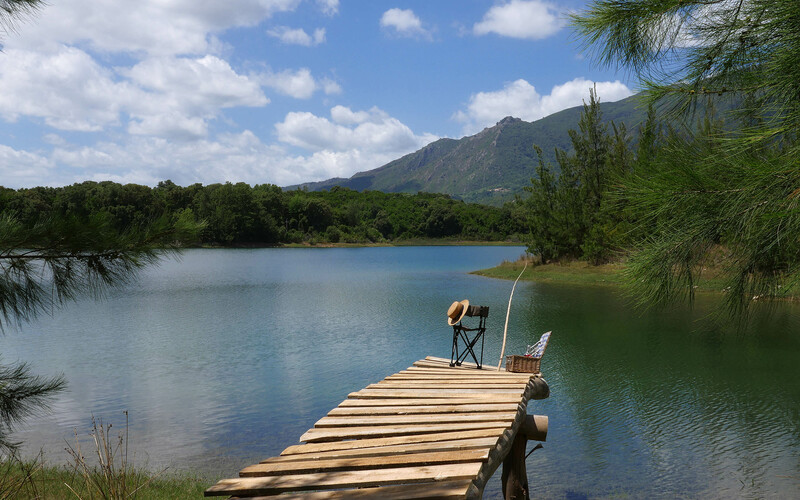 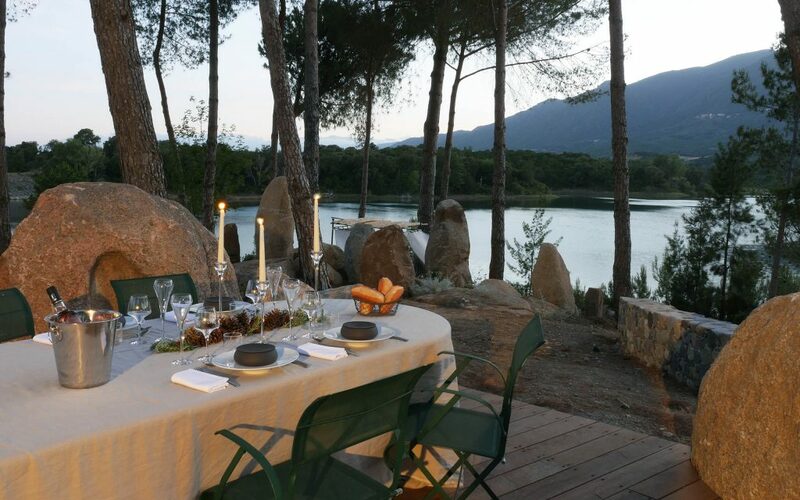 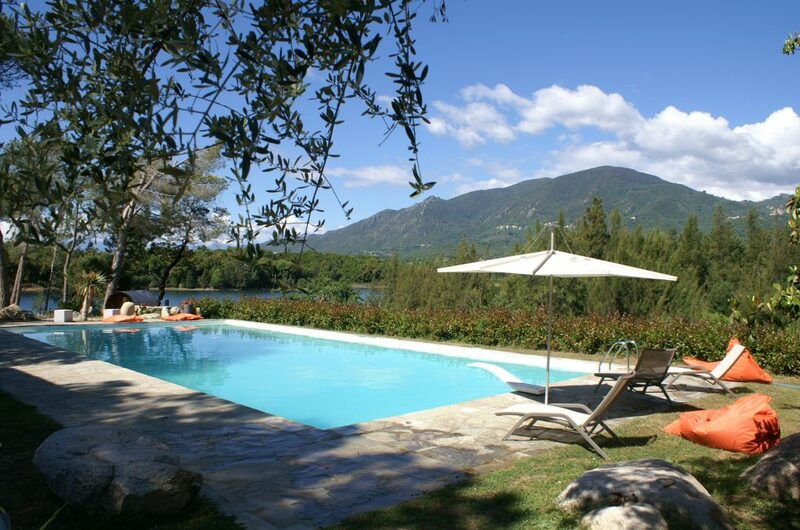 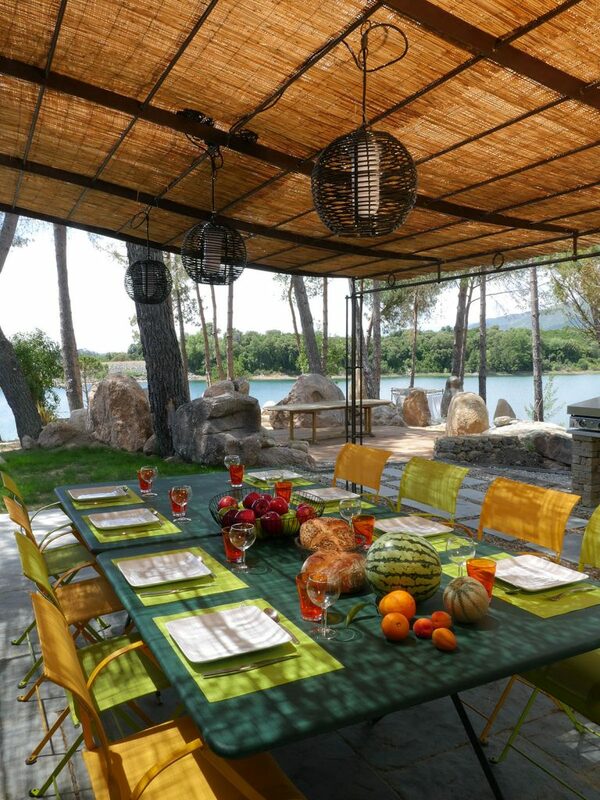 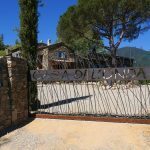 Casa di l’Onda property offers an extraordinary accommodation on a lake for your stay in Haute-Corse, between the sea and the mountains. 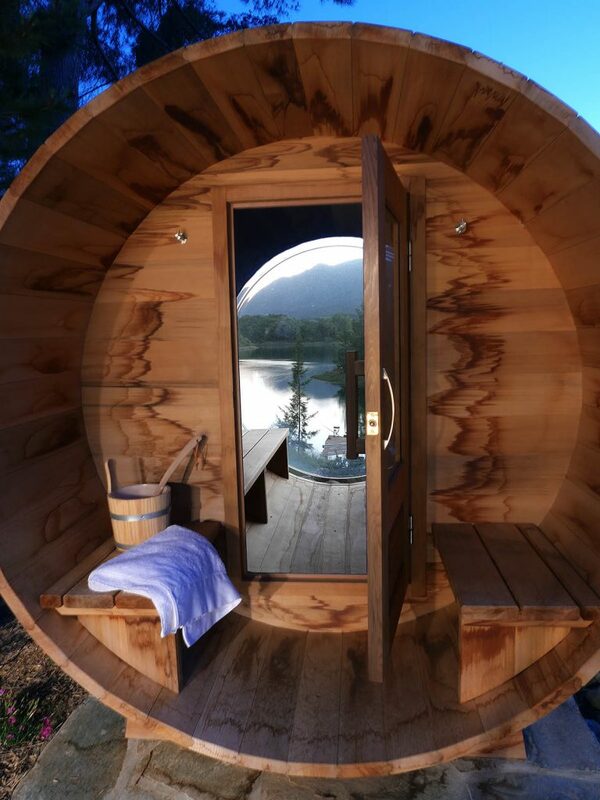 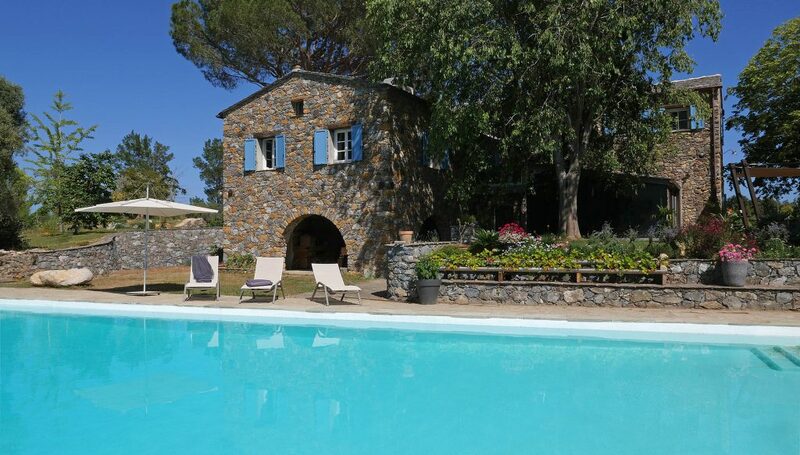 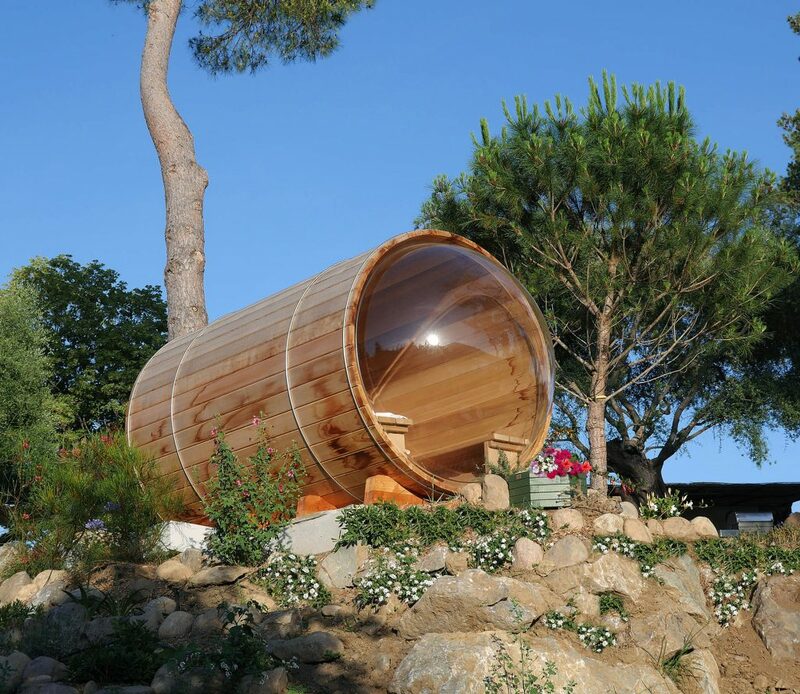 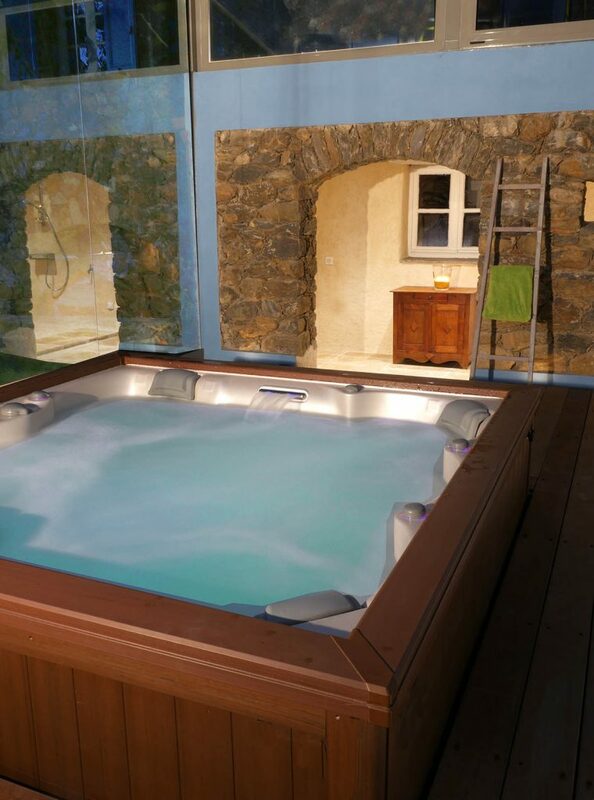 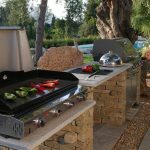 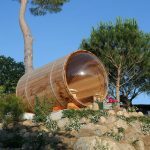 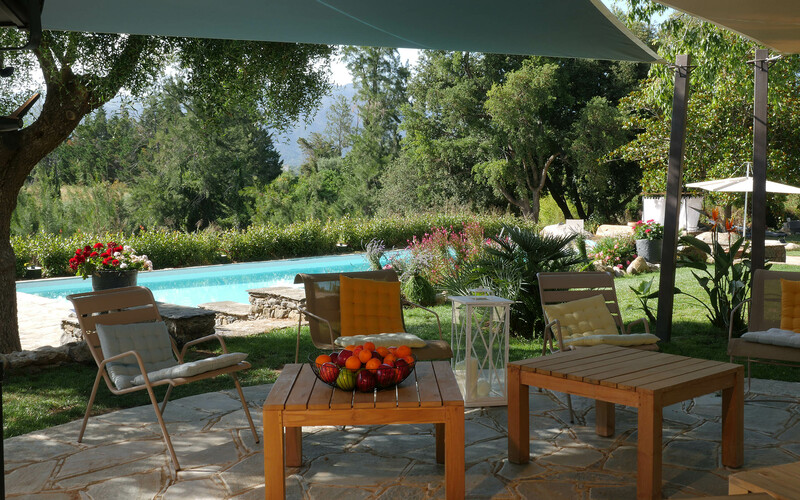 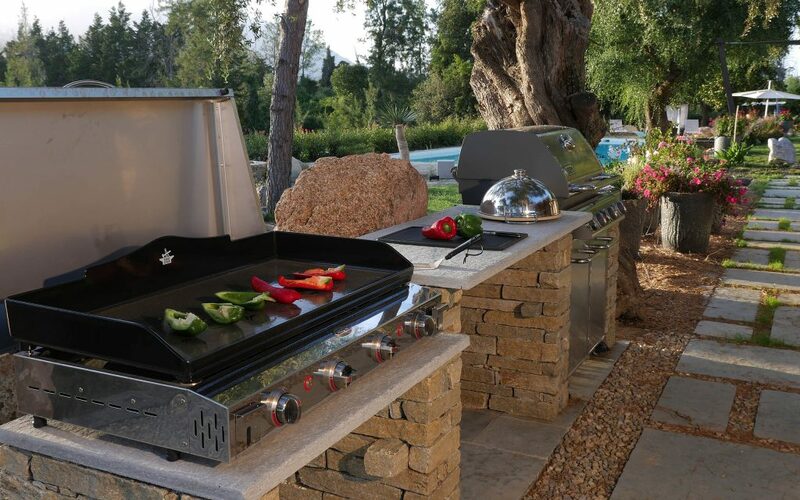 Its pool, spa and outdoor sauna will make your holidays in Corsica unforgettable . 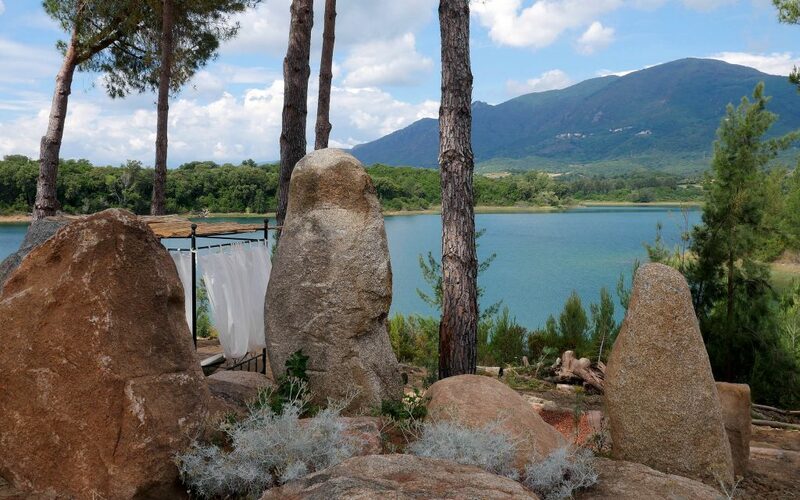 The location of the property on a lake peninsula and in a preserved nature contribute to a heavenly time. 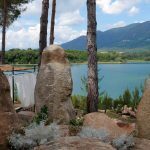 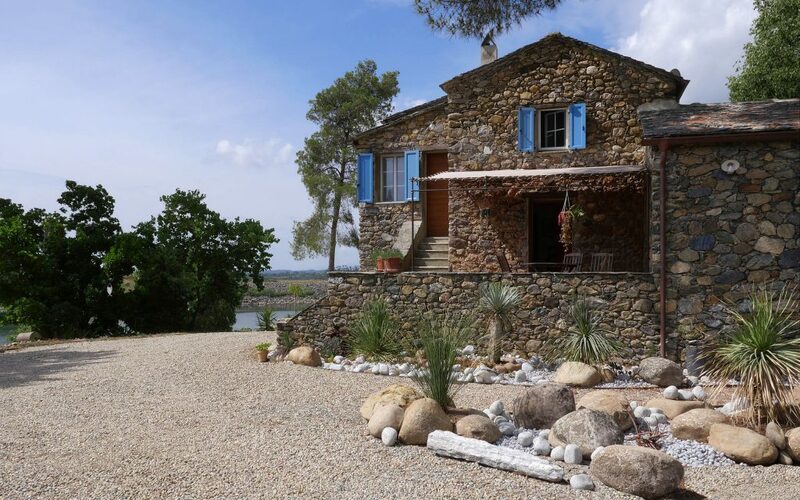 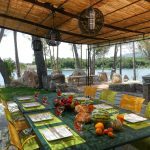 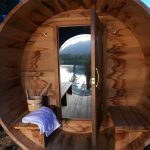 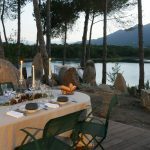 The combination of old stones in an unspoilt nature and an outstanding location on a lake, makes this property a unique venue for a dream vacation, out of time. 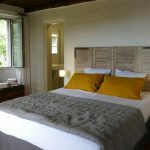 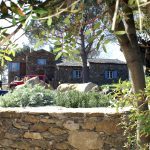 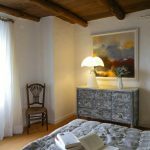 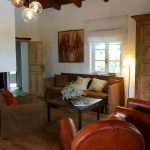 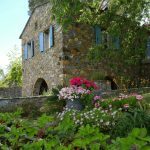 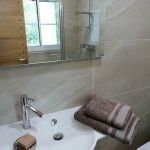 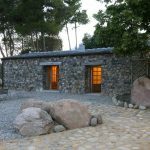 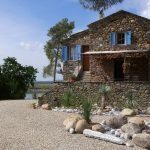 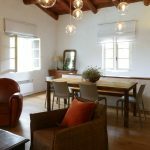 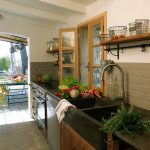 This former farmhouse, completely renovated in 2017, has two beautiful stone buildings : a main large house and a sheepfold. 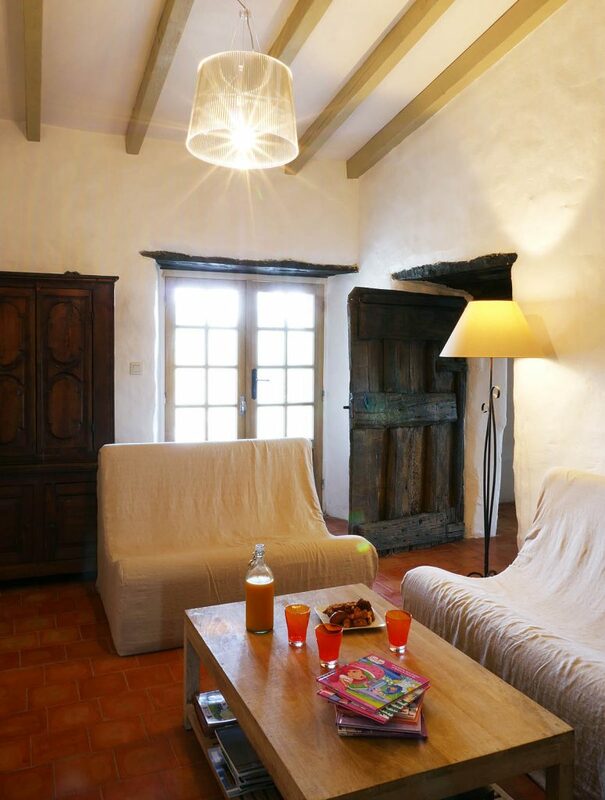 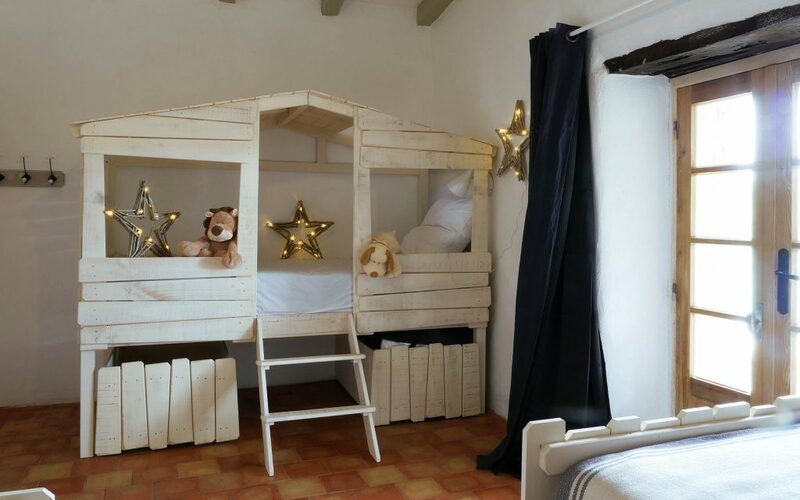 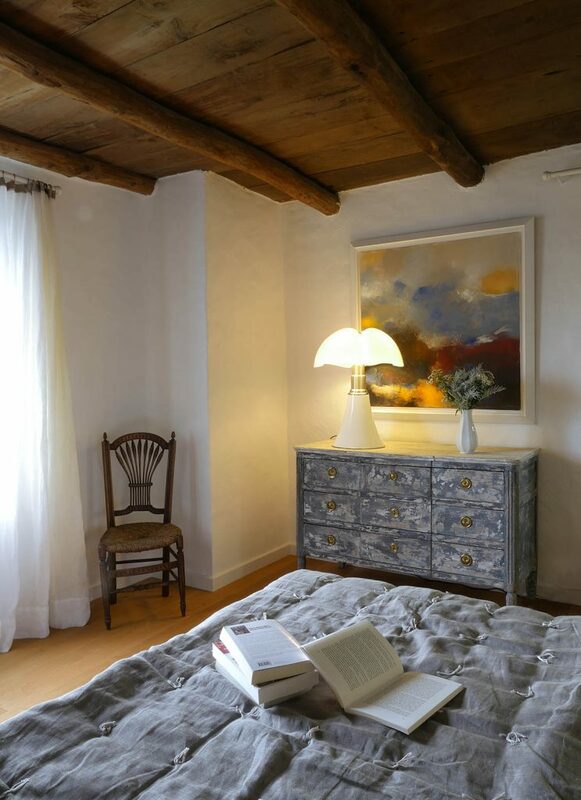 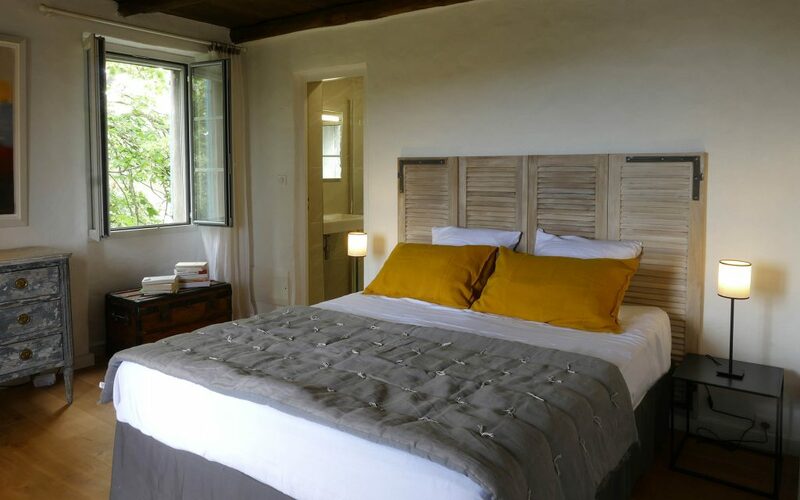 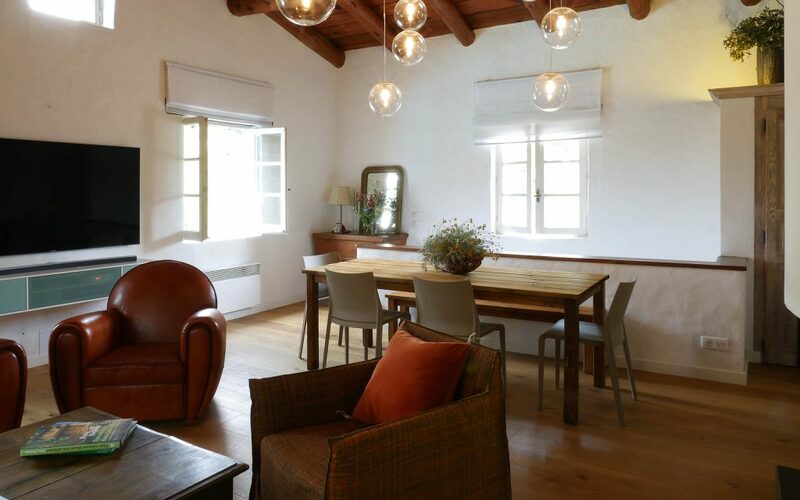 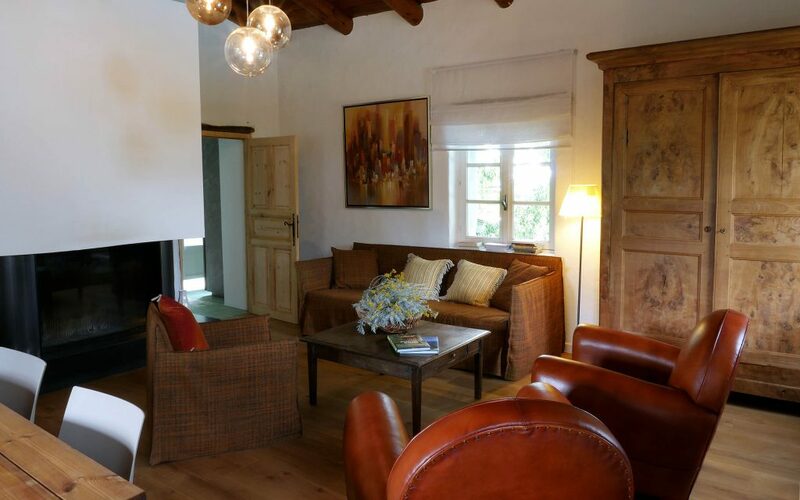 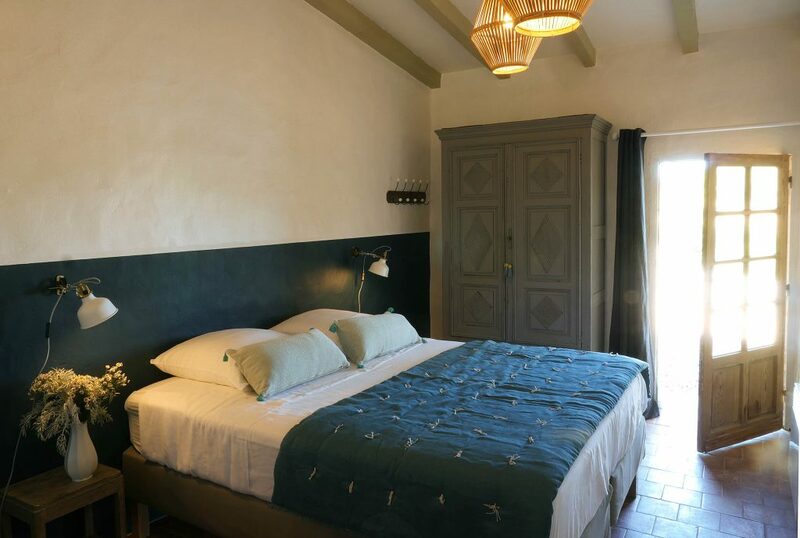 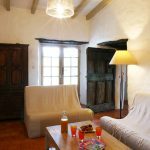 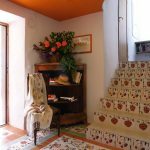 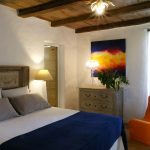 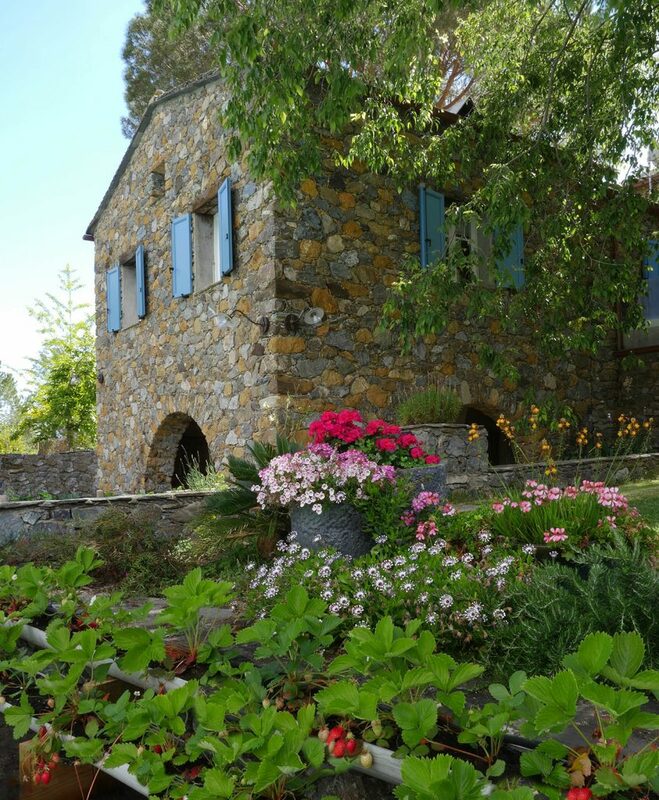 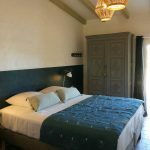 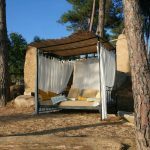 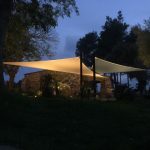 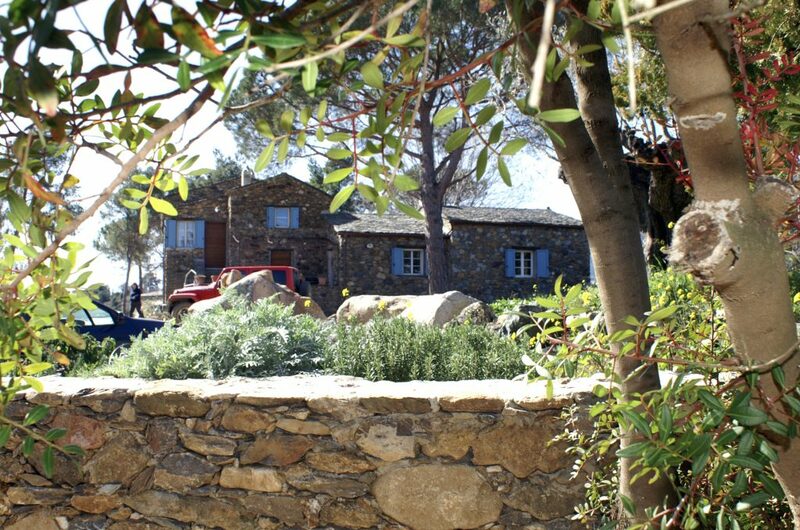 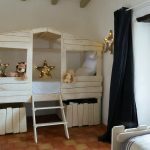 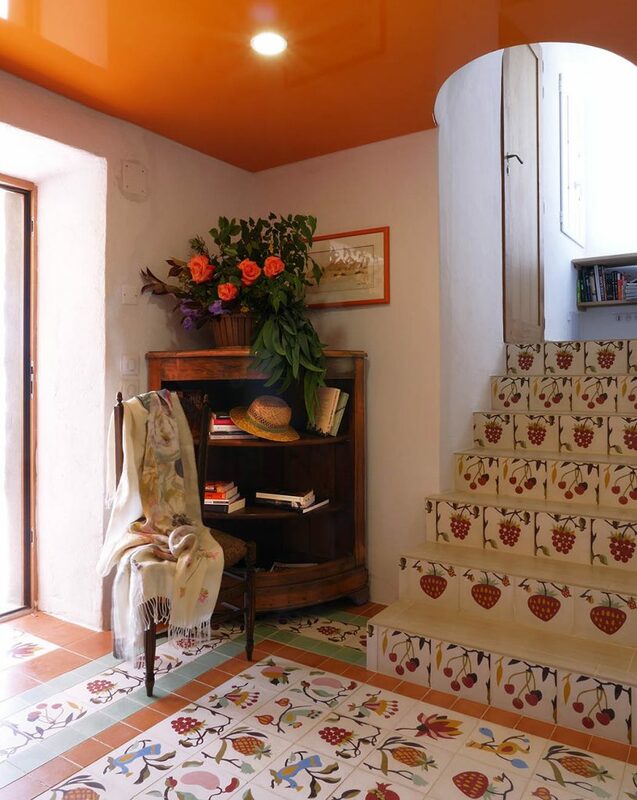 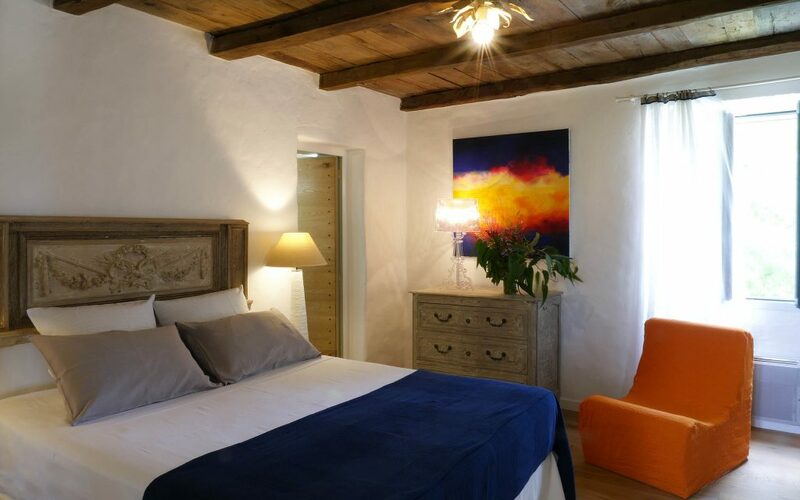 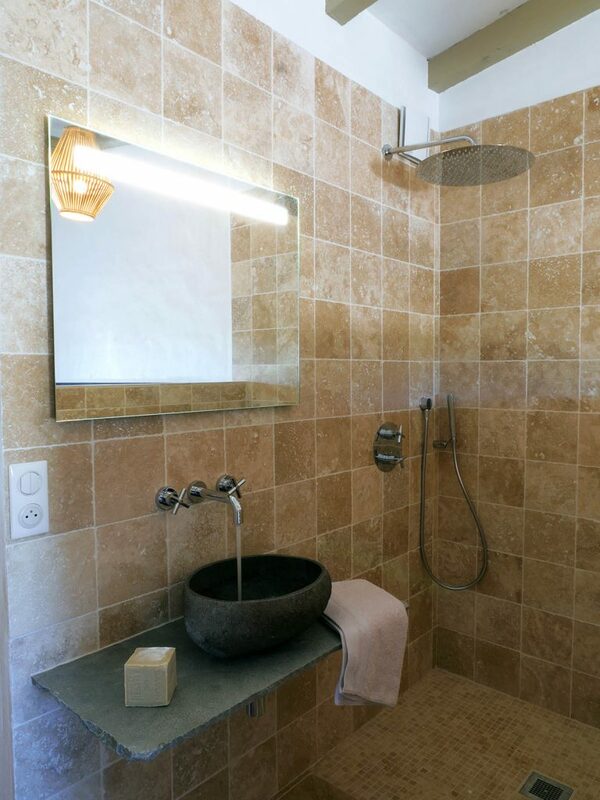 The whole residence has 15 beds and it allies modern comfort to the charm of old Corsican houses. 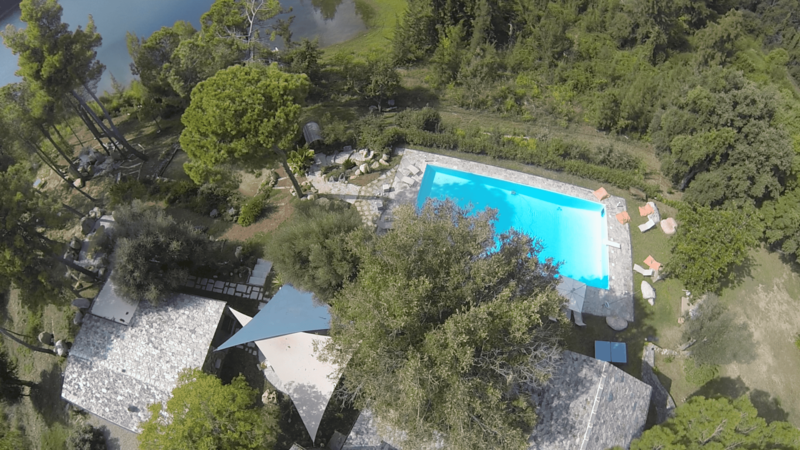 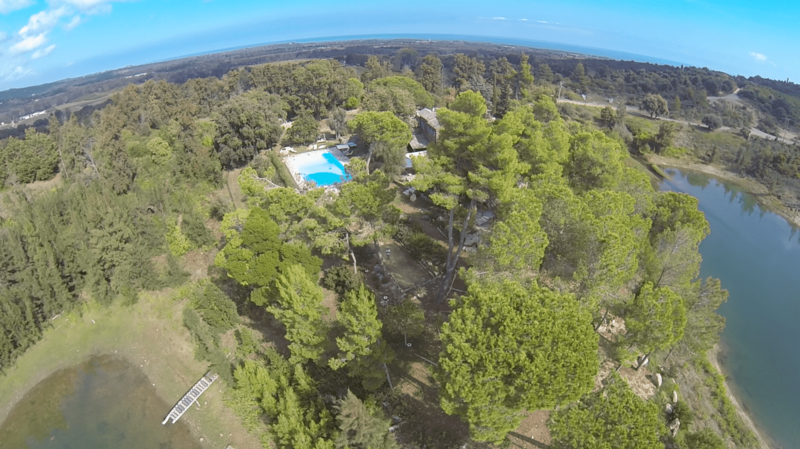 A huge swimming pool of 60x30ft is surrounded by a large garden and a pine forest; Treat yourself with the spa, sauna, summer kitchen and many terraces, one of which can be used as a dance floor if you feel like it… You may not interfere with the neighbors anyhow! 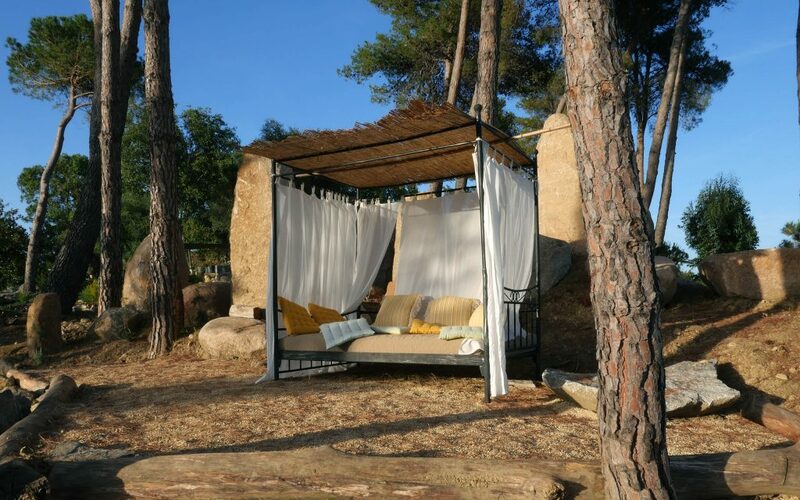 Take advantage of this venue not only for fun & games, but also for chilling out in the shades or in the sun depending on your mood. 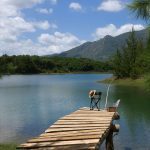 Leaving this paradise venue is quite hard, even for long sandy beaches that are only seven minutes away by car (so are the supermarket and basic convenience stores where you may want to pass by). 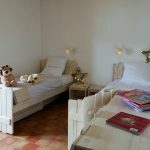 You can also choose to borrow a dirt track through the bush and fields with grazing sheep down to the beach, alongside the Alistro Falcone tower and lighthouse. 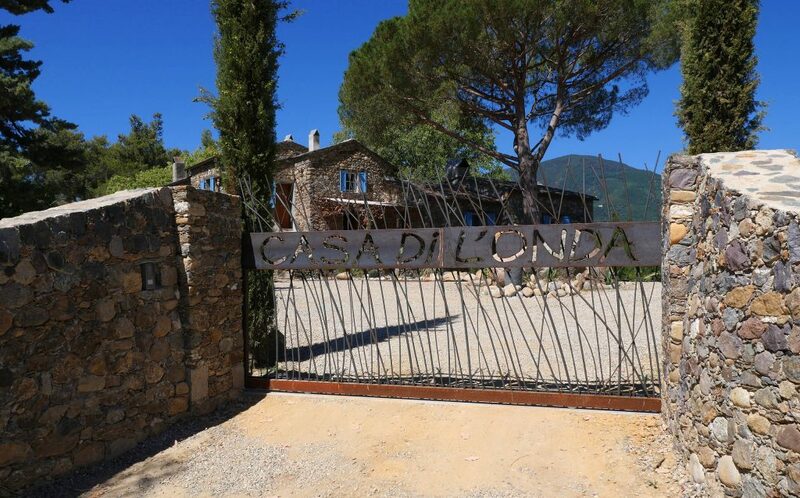 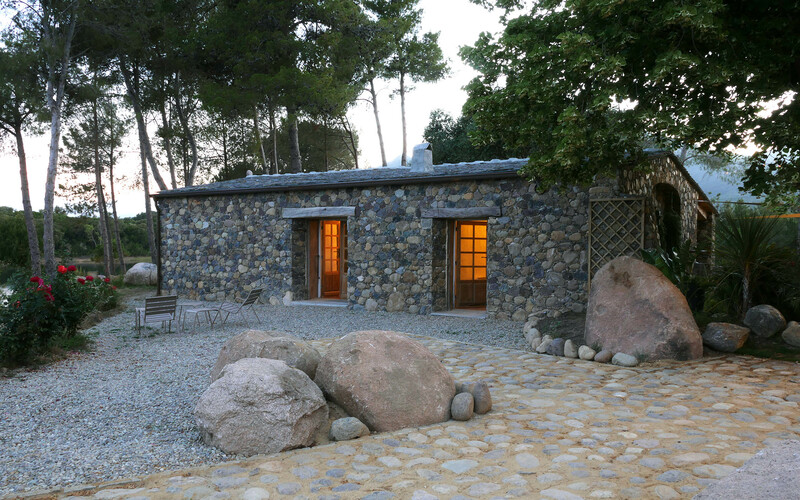 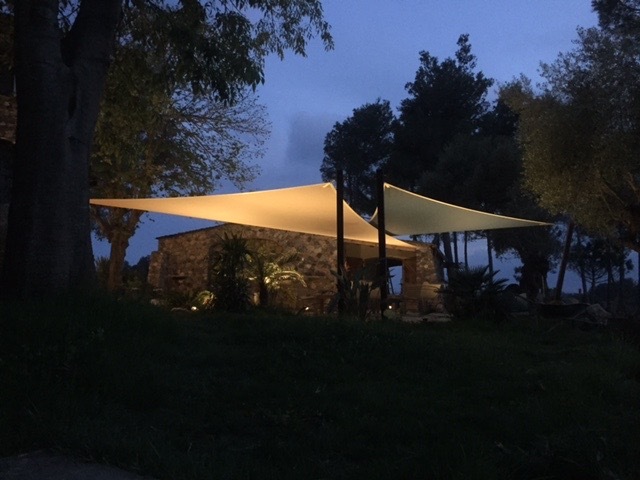 The house is the main building of Casa di l’Onda property. 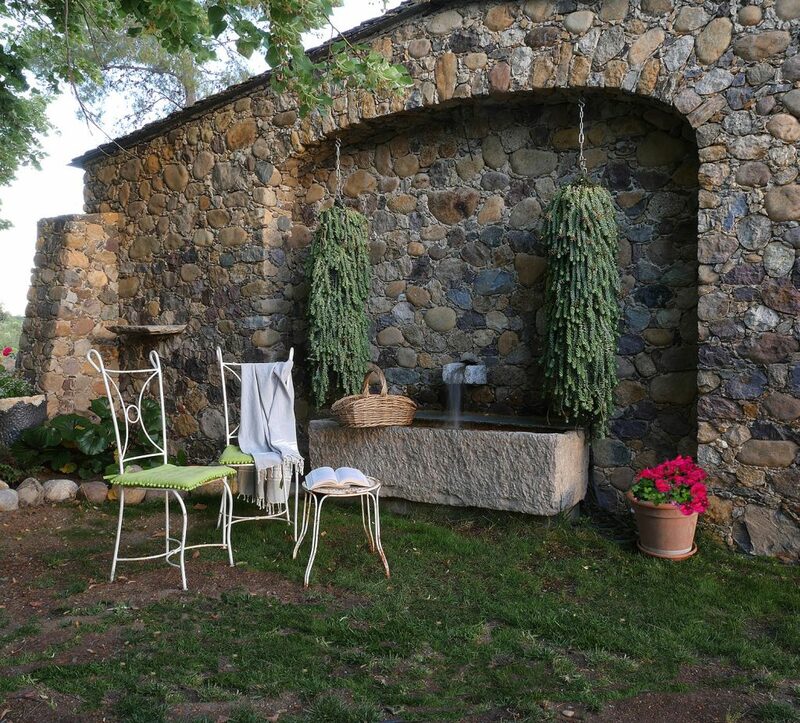 This traditional construction in old thick stone walls consists of a garden level overlooking the pool and lake, a ground and first floor. 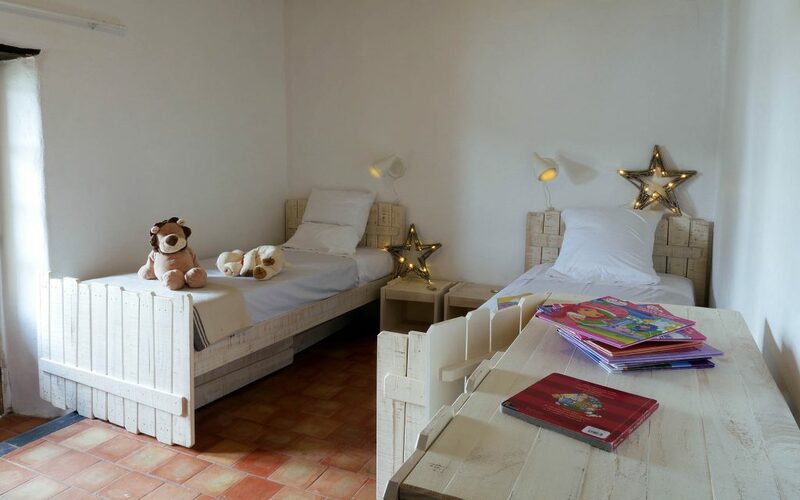 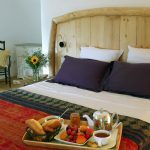 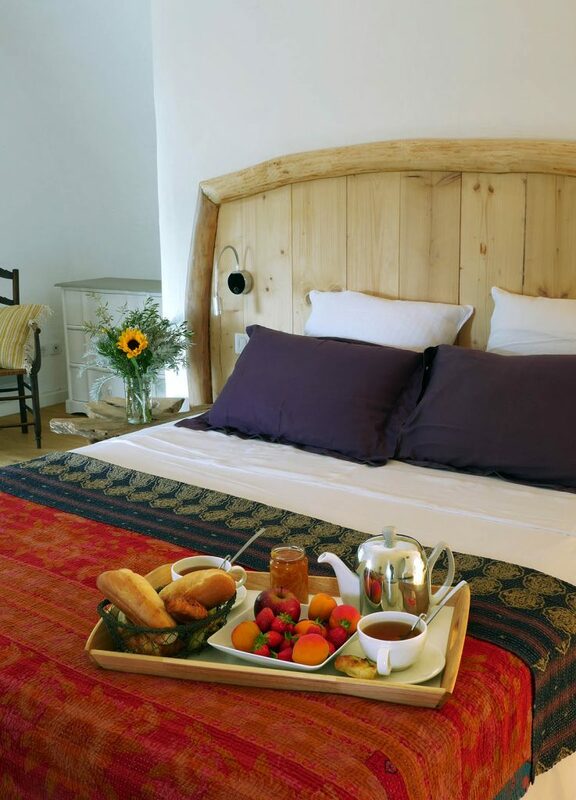 It has 5 rooms equipped for your comfort and can welcome up to 10 guests. 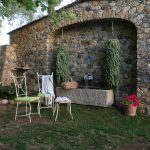 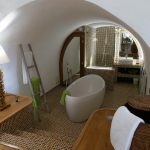 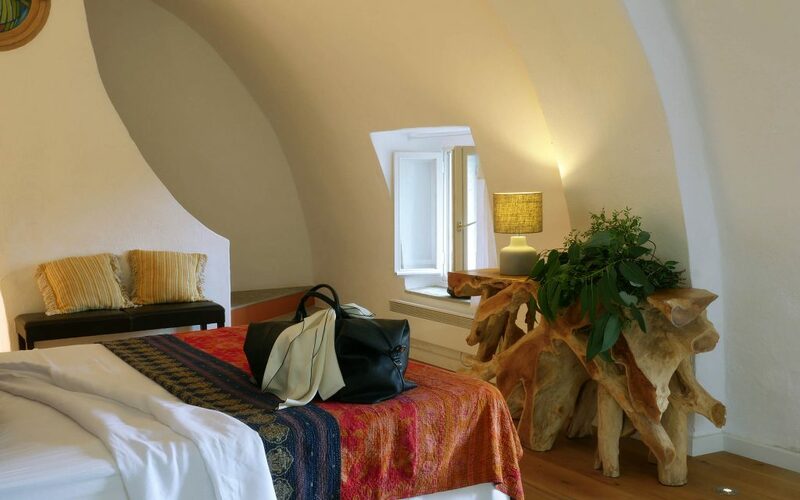 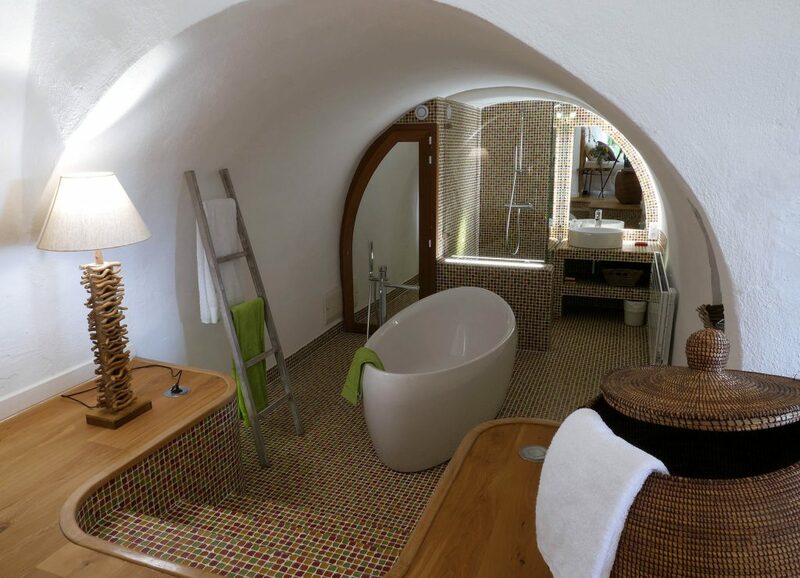 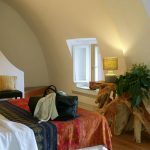 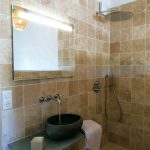 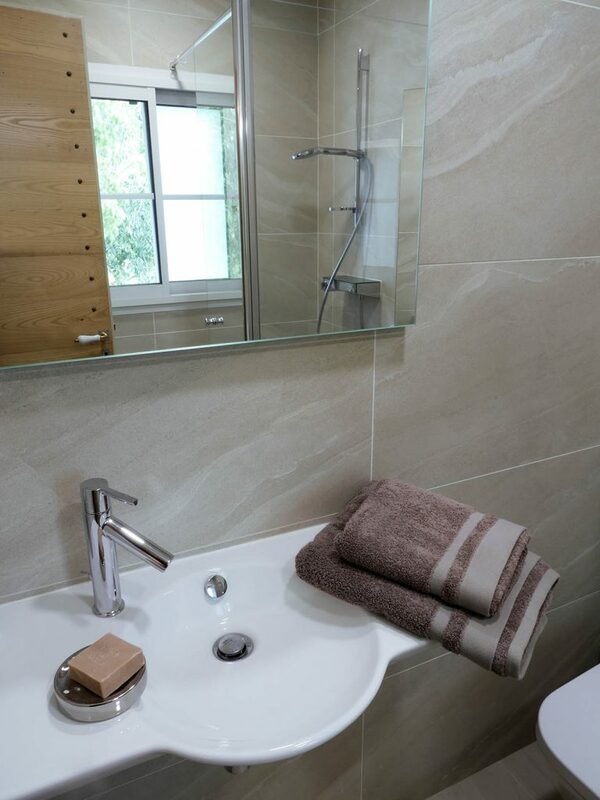 The sheepfold is an old dependence of the house – it is equipped to host five guests in two bedrooms. 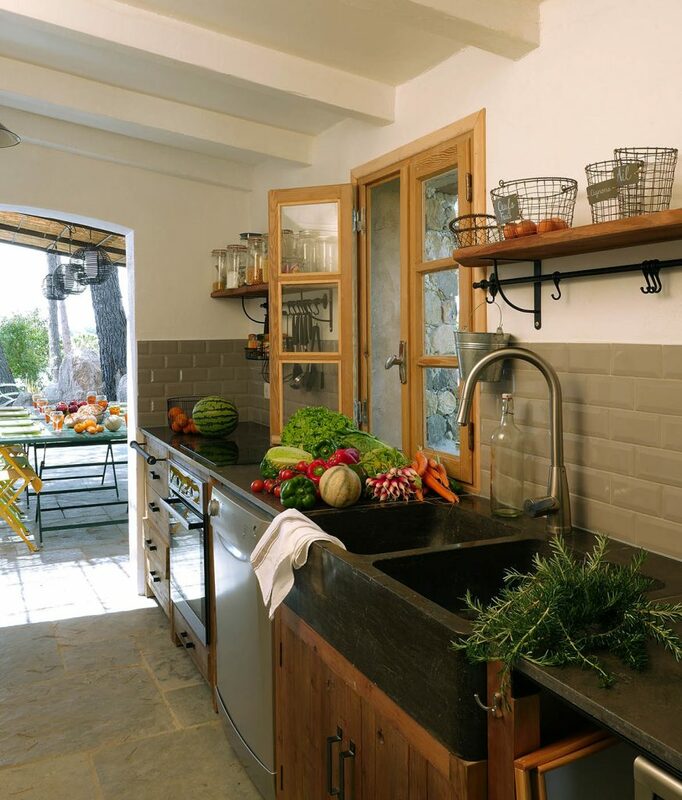 The summer kitchen is adjacent to this fold. 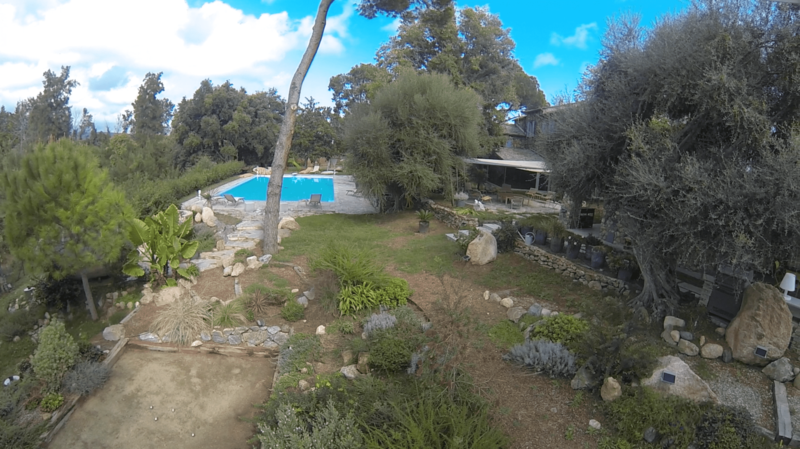 See more details about the property!